113ci E.P.A. 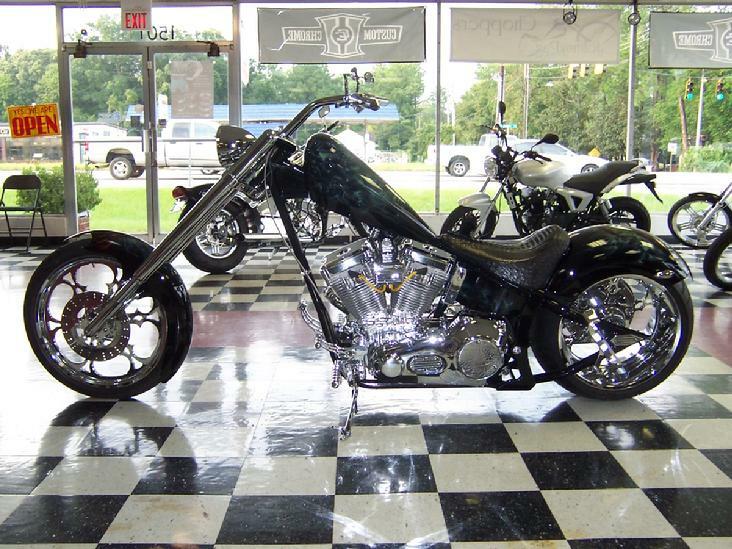 Certified S&S motor, 6spd Baker RSD Transmission, Pro-One Chassis, 40 degree neck w/5 degree trees, American Suspension inverted fork w/internal brake line, Internal wiring & cables, Custom Alligator & Ostrich Seat. 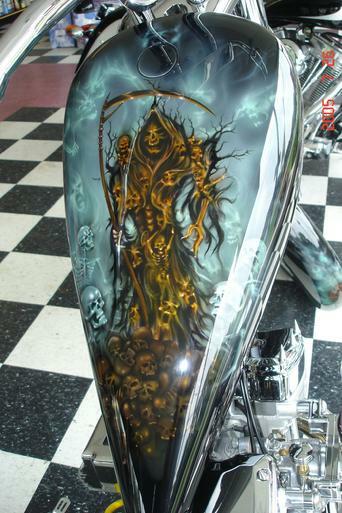 This bike was built to win ride in shows. 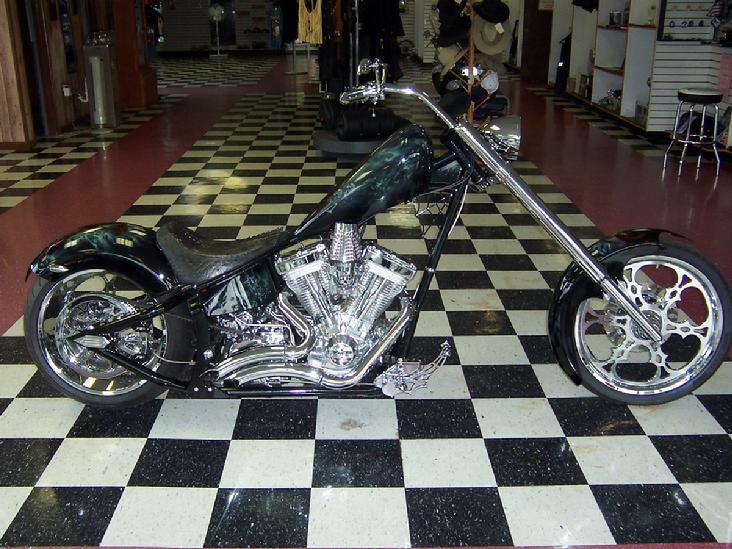 Only top quality, American Made components were used to build this bike. 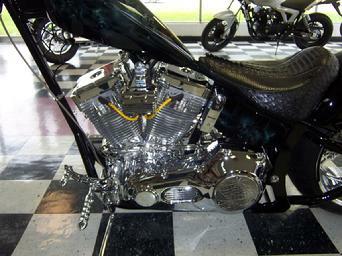 Builder, Billy Potter has 40 years experience in the American V-Twin industry. "I was building bikes, when those guys on tv were still in diapers" Billy says.